Affordable styles & colors to fit your specific budget and taste. Beautifies your yard with an attractive new look. Continuous concrete provides a durable, permanent, border that has proven to be unsurpassed by all others. Design flexibility allows curves, turns and contours for the layout of your landscape. Edging that outlasts wood, metal and plastic. Keeps in mulch while keeping out grass. If you are in the process of refining your outdoor landscaping, finish the edges and complete the look with precision curbing from ProCurb. We have established a reputation among landscape curbing companies for our unmatched quality and superiority. While other landscape borders offer hollow solutions, ProCurb never cuts corners. 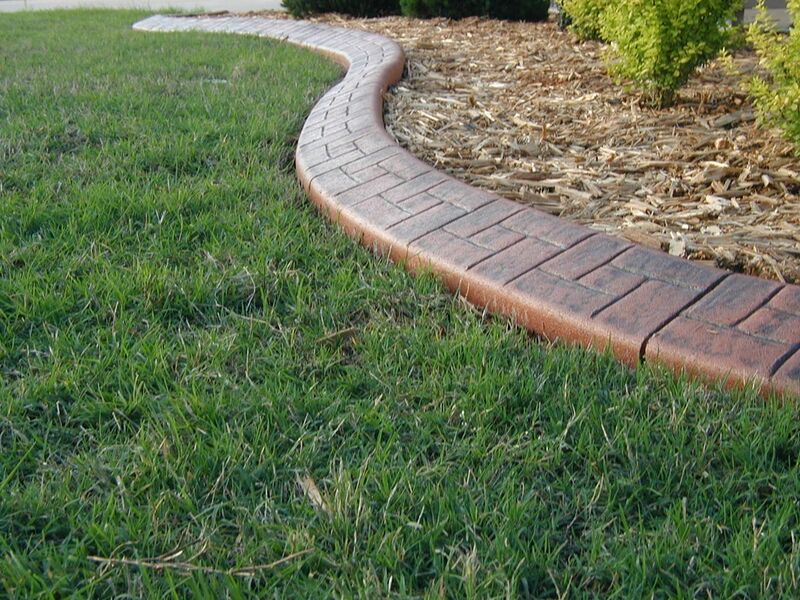 Unlike other landscape borders, our curbing services provide a lasting product. Concrete curbing lasts much longer than other plastic methods, resisting damage from gardening service and insect infestation. With ProCurb, you can choose from a number of finishing options including color, style and imprints. For more information on concrete curbing with ProCurb, contact us today by calling (918) 695-9595.